Hello everyone! 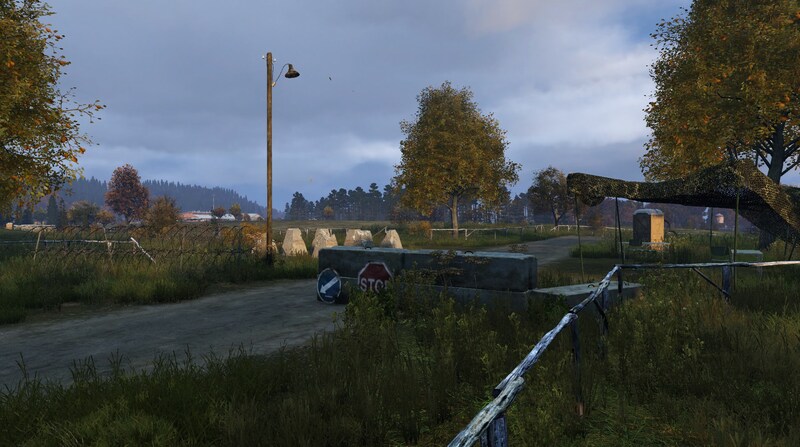 In this highlight, we will summarize all interesting info of today’s Status Report as the DayZ dev team moves closer to the 0.63 experimental branch release. If everything goes well, the team wants to have an extended Stress Test available during the entire weekend. Now, let’s get into it! Throughout next week, Eugen expects the team to host a few more Stress Tests to focus on the ongoing issues with crashes and locked characters. Meanwhile, internal work on features and content continues. Those will be merged into the experimental branch in bundles. Last week they moved to reviewing and bug-fixing of hidden stashes, the chambering loop (enabling weapon classes such as the Mosin in-game), unconsciousness, CPR, gestures, repairing, UI – main menu polishing, infected sensors (audibility/visibility) and sheep (animations, behavior). After the experimental release, they expect to continue to release these bundles regularly and follow them up with bug-fixing. This approach seems promising as it should be easier to isolate issues and fix them, without having to fight other dependencies. Peter explains the new Central Economy (CE) brings life into Chernarus. It is in charge of spawning and cleaning up items, infected, animals, vehicles and dynamic events. It is fed with parameters and settings that can be changed on the fly, according to feedback and design. To profile results on a large scale, the developers included profiling tools in Stress Test #11 that collected data and server storage files. From the data available, it looks like enough food, drinks and firearms remain spread out across the map. Peter would love to see players adapting to a new mindset of getting prepared before starting their next trip by checking more houses and structures at their location. The video below shows a timelapse of food spawns across the map. The analysis also revealed that certain parts of the map are rather empty and will have to be tweaked. In such cases, the areas for character spawns will be tweaked and more structures will be added where it makes sense. That goes hand in hand with lowering the safe radius around characters which prevents items to pop up, which can cause the lockout of entire cities in high traffic areas. The team identified a few more key issues. Cleanups of large amounts of common items at once caused noticeable dips. Additionally, they will focus on optimizing the phase it takes to “boot up” the new Central Economy so that all items are properly categorized and assigned to the tier zones. As more and more content will be added to the game, this aspect will have to work smoothly. The new CE is a great toolset to tune loot and its distribution. Given the complexity of it, that process will take some time. In his segment, Adam is giving us some more glimpses into the re-worked and re-designed capital with its large civilian and industrial areas. The new Chernogorsk will solve performance issues and integrate seamlessly into the other parts of the maps. The previews look promising so far and we can’t wait to get the exciting feeling of exploration back! The new Chernogorsk will perform better and offer us a newly designed layout. After the NWAF was re-designed into a massive military airbase and with the Tisy missile base looming further into the north, the team feels the military airbases should be more balanced. To solve the issue, Balota is now a realistic local civilian airfield, which was mainly used by a flying club before the infection spread. The concrete airstrip was replaced with grass and oriented more towards the inland, away from the surrounding towns. Fear not however – Balota will still have some military installations, reminiscent of a military force that captured the airfield and sealed off the tactical entrances with improvised road blocks. Balota will remain an interesting place to visit, we’ll have to see if it stays as deadly as before! Enjoy your day and see you in the next Status Report Highlight!